How do you add a feminine touch to your wardrobe. Torn between work and family unfortunately we have no time to think about our wardrobe. How do you add a feminine touch to your wardrobe with little nuances. No style emphasize your outfit a lot of femenine as romantic style. So goes look : Polka dot, flowers, imagination prints, tucks, ribbon, pastel-coloured, little bags, pumps, ballerina shoe, delicate chain, brooch. 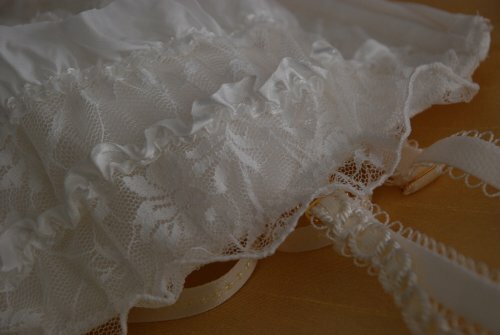 Fabric: cotton, lace, batiste, jersey. Colour : pastel, crème, white. Mix : don’t worry mix romantic outfits with knitsweater or leather jacket. Feminine romantic style is fashionable in every season and can be matched to each type of shape a touch of femininity.